Sun Protection . . .
. . . always so important! Staying out of the sun while enjoying a cigarillo. 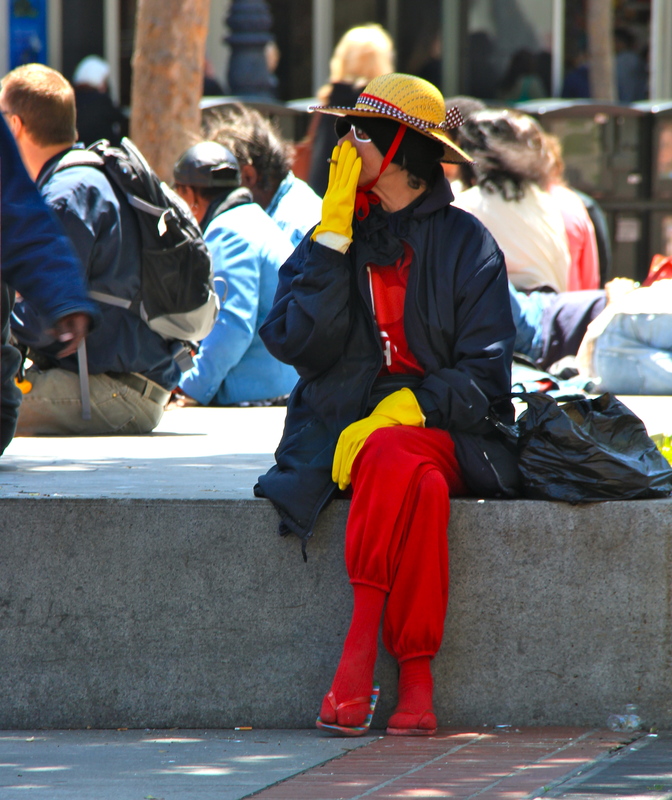 Sitting in the sunshine of the Civic Centre, wonderful San Francisco where colourful is always a guarantee. What is not to love! ← Marie and Maria . . .
Oh my. She looks very cheerful and stylish in an eclectic sort of way. She certainly is stylish and she has great posture!